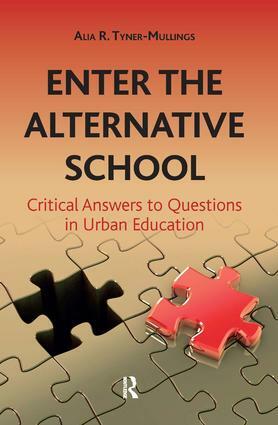 Enter the Alternative School is an in-depth examination of public school alternatives to traditional educational models in the US. This book analyses how urban education can respond to a system growing increasingly standardised and privatised. As an example, Central Park East Secondary School (CPESS), a public alternative schooling model, successfully served predominantly low-income and minority students. It also changed the New York City public school system while promoting methods that allowed educational institutions to make changes in the lives of their students. Written by a sociologist who was both a student at CPESS and a teacher at a school developed from the CPESS model, the book analyses education from a range of vantage points, assesses outcomes, and invites readers to consider the potential of alternative educational models to address the challenges of reforms that attempt to provide quality education to the low-income and minority students otherwise under served by public schools. "The accessible book offers a look at both the successes and the struggles of a particular alterative school model and allows readers to consider the transferability of pedagogical methods for the benefit of students. It serves as a guidebook to small schools and a critical resource for administrators and teachers searching for novel ways to make changes to help their students succeed…Summing Up: Recommended. Graduate and professional collections."